Does your business, building or public facility in Central Wisconsin need an expansion or finishing so you can open your doors? Tenant Build Outs are one of Abel Complete Constructions signature services. We help business owners and commercial property owners transform the four walls and a roof that cover their locations into a space of beauty and function that your customers and employees will love. It doesn’t matter if you want to convert your existing commercial space into a restaurant, a retail store, professional offices, a warehouse or even an expansion to an existing business. Abel Complete Construction has the commercial remodeling and construction experience to finish your project with rigid deadlines and high expectations. This is your business that you’re improving, your livelihood and we don’t take that lightly at Abel Complete. We’ll work together with you to help you refine your vision and get it built so your business can resume. 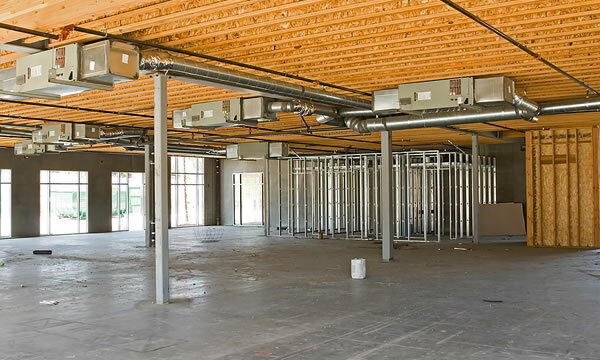 If you are in need of a professional and reliable commercial remodeling contractor capable of handling your tenant build out then look no further than Abel Complete Construction. With 13 years of experience in the commercial construction industry we are well versed and familiar with the intricacies of commercial projects. We’d love to be a small part of your businesses future success! "Hey Tyler, Thanks again for all the work that you did. We were very pleased. We passed your name to our realtor as someone we could recommend without reservation in terms of quality of work and professionalism. We still don't know our plans out here yet, but will keep you in mind. Your check is going in the mail tonight." "Tyler, You're a man of your word. I appreciate all of the hard work, and thanks again to your sub-contractor. I'll be in touch. I appreciate all of your efforts"
"Tyler and his crew did a great job on our bathroom remodel, and finishing our basement! Great craftsmanship all done on time and budget! We will be hiring him again for all our future needs!"